Most people speak both Tagalog and English, some mix the two together and that is called Taglish. So for the most part i have done very well at feeling comfortable in speaking, being understood and being able to communicate with others. We are trying to study and learn Tagalog. We spend an hour each week with our Language Learning Coach and another hour with our Tagalog tutor over Skype. They are at the Missionary Training Center in Provo and they are awesome. Last week our language learning coach ask to think of a scenario where we struggle and we will work on it this Wednesday. So that was a pretty easy decision… it is the gas station. I don’t know if this is everywhere in the Philippines but seems like they always pump your gas here. So they come to your window and ask a bunch of questions in Tagalog. I then try to tell them in English what I want. It does not work very well. I have figured out that they know what “full tank” means and that I can tell them the number on the fuel 92 for regular or 95 for premium. Now here is an interesting fact, in the US it costs about 10 to 15 cents to move from regular gas to the midgrade and then that amount again to go to premium. Enough of a price jump to cause some people to buy regular even though their owners manual may recommend a higher octane. Well that is not a problem here. At the Shell station we usually go to regular 92 octane cost 44.5 per liter and Premium 95 octain is 44.95. these prices are in pesos so we are talking about less than ½ of one peso or about 1 us penny. I keep noticing that they have signs up for free this or that and I have tried to ask where mine was but of course I cannot get that question across. Then I noticed that they were all tied to premium gas so this week I decided to buy premium. After all I can afford 1 extra penny per gallon. So Saturday when we filled up I said, “full tank premium” he did not understand that and started for the regular pump. I said “no, 95” he understood that and filled my tank. We then gave him 2000 pesos and waited for our change. I did not notice a premium “free” on Saturday so was not expecting anything. A few minutes later he returned with a clipboard and asked me to fill out my name address and phone number (no he didn’t ask in English but the paper was written in English so I managed just fine). I tried to ask why I was doing this but that conversation was not happening. By the way, I recorded all this so we can use it for our language training this week. When I handed the clipboard back to him he handed me my change and a can of corned beef. 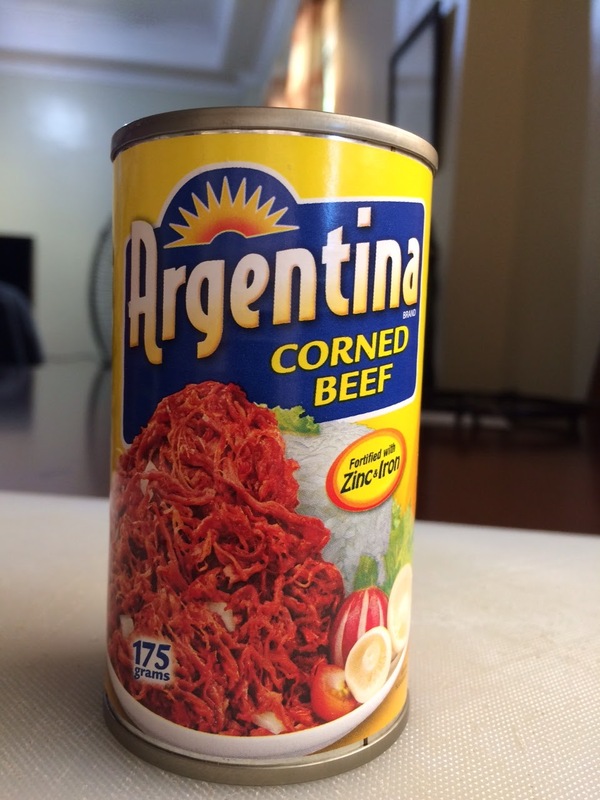 I love corned beef hash for breakfast so I was pretty happy with the deal. Do you remember the ‘good ol’ days’ in America when you went to the gas station, they pumped your gas and it only cost 29.9 cents per gallon? Well I do! And then when you paid they would ask you if you wanted Green or Gold. That was S&H Green Stamps or Gold Stamps. That was a bonus or premium we would get. Then you would lick all the stamps (yes lick them, there was not peel and stick), and put them in books. Then came the fun part. Looking in the catalog and dreaming of what could be bought, “if we collect 10 more books we can get…” it was so fun and exciting to save and wait and dream. My Mom, shortly after we got married noticed we were diligently saving our stamps and so she donated a bunch of hers to our quest. We were able to buy quite a few things for our new home with stamps. Then one day the premium stamps went away, gas went to $3.00 or more per gallon and we were thankful when it dropped to $2.75 for a few weeks. Then we came to the Philippines and we can get a free can of corned beef with a tank of gas. Life is good. I am thankful to be here. I am thankful for the opportunity of serving a mission and serving these wonderful, kind and loving people. We are truly blessed. Today we decided to drive to all the buildings in the Rosales stake since we will be presenting a My Path Devotional in each of them over the next 5 Sundays. In a My Path Devotional we teach some of the principals of Self-Reliance and help people choose a group to join to continue working on their personal self-reliance. We have three groups, Starting and Growing My Business, My Job Search and Education for Better Work. The program is awesome and has already helped so many people become self reliant having enough to meet their temporal needs while strengthening their spiritual lives. We have a great time and stopped and talked to lots of people. We found a furniture business that is out in the open, they have some shelter from rain but no sides, no doors or windows, totally open other than some roof to help keep things dry. They have very few power tools. They were laying out some mahogany for a table. They had two matching slabs that were over 18 inches wide that they were going to join in one top. They plane all the wood by hand. They do not have a lumber mill to rough cut the logs, they use a 24 inch long chainsaw and cut the slabs by hand. I asked how he gets them so straight and he said practice. The tallest tree here is a young mahogany tree. They had a home made table saw. The top was made out of a flat plank of wood. The rest of the machine was also wood. When he turned on the motor he would reach down and grab the drive belt to get it started running. It was awesome… it would be so cool to have wood like that to work with in my shop. We stopped and watch rice being planted. There were a bunch of very happy people wadding in the rice paddy planting starts of rice. When we stopped they waved and talked to us and were so friendly. The starts of rice they plant are about 10 inches high and they plant a lot of them very fast. We are just going into the rainy season so that apparently is when they grow the rice. It looked like they had corn planted in the dry season and were now switching the fields from corn to rice. We stopped at a business that mills rice. Rice when it is ready to harvest will be about 3 feet high and the rice is on the top, sounds like it is similar to wheat. Also when they harvest it the rice has a hull around the rice so they have to get that off. Before machines they would use a big mortar and pastel then put in a basket with a low side (1 inch or so) and toss it in the air and the wind would blow away the hull and the rice would fall back into the basket. By the way this cannot be done until the rice is dry and to dry it they spread it out on the road and everyday they go out with wood on the end of a handle sort of like a snow shovel and push it around. Now today they take the dried rice to a rice mill and they run it through a machine that separates the rice from the hull. So we stopped at one and talked to the owner of the business and found all this stuff out and then asked him about employees and gave him our contact information and told him we could help him find good employees and told him about or church and values and why our members would be his best employees. Anyway we found all the buildings and took a lot of pictures and had a great day. All the children here wear uniforms to school. Their day starts early and ends late, i think they start at 7am and go to 4:30 or 5pm. They go home for lunch so you always see them around lunch time walking or riding on a motorcycle or Trike to and from home. The uniforms are different in every school and it is fun to see all the different ones. Another Old Carabao strolling and eating. We stopped to take pictures of the flowers next to the street in front of this house and they lady came out and asked us to wait while she picked a bouquet, making sure she got some of all four colors and then gave them to Cathy and invited us back anytime for more. We finished our day with a little grocery shopping, and pizza at the mall. The are widening many of the roads but dont want to remove these beautiful trees so they just pour the cement around them and put a warning sign up. Everyone drives in the left lane, the right lane is used for parking, driving the wrong way, standing and talking with your friends and occasionally for passing. Most passing however is against traffic, everyone just moves out of the way and lets cars, trucks, busses and trikes do pretty much what they want. These kids are returning to school after lunch. There were several more on the inside and on the seat of the motorcycle. I dont remember the total but it is not unusual to see 8 people on one trike. This a member, he and his wife own this sewing business in the open market. They are making uniforms here in this picture and while we were there someone stopped and had them do some repair work for them while they waited. They have completed the Self-Reliance Group, Starting and Growing My Business and we went to record them talking about the improved success they have had since they went through the Self-Reliance Program. This was really cool! This little girl went with her Dad in the Trike and they stopped at another business we were visiting. She has such beautiful eyes! This is Sister Anderson checking out the garden of another self-reliant family! Beautiful! I love this woman, she is the best companion a missionary could ever have! Working in the Philippines is awesome. We just figured out how we can do our work and still go on a date once a week. We are going to start teaching an English class every Friday night and the people said they wanted it to be a date with their spouse. It will be simply playing language games and interacting in English where they can ask questions and get correction on pronunciation or sentence structure. Most every one speaks English but they want to know that they are doing it right. No one wants to error by saying “good, gooder, or goodest”. We really love the people here. I can’t imagine us being anywhere else right now. We feel that our Heavenly Father blessed us by sending us to be taught by these sweet people. We ask Amo po namin sa langit, pakibasbasan po kami na matuto sa mga bagay dito sa mission. A few days ago we attended our first Sunday meetings at church while in the Philippines. We were able to understand most of what was said and really enjoyed it. The talks were a mixture of English, Tagalog and Taglish. The Bishop taught the 3rd hour because it was 5th Sunday. First let me back up to Sacrament meeting. Several children had left the side of their parents and we're playing in the back of the church. They were somewhat noisy but not any more than at our home ward when the children are playing on their mom's lap. The Bishop sent the young Deacon that was seated beside him to gather the children and take them back to their parents. Now proceed to the topic for 5th Sunday. This could and maybe should be done in all wards. I just thought you might like to know, the church is the same everywhere and TRUTH is TRUTH no matter where you are. Sunday 14 June 2015 was the Philippines Area Conference. We traveled about an hour to Bayambang which is west of where we live to be with the Stake in that area. The Stake President had invited us to stay after the conference for a short meeting with their Self-Reliance Committee. The Conference was scheduled for the Stake to open the conference with music and remarks from the Stake President. When we arrived a little after 9 the chapel and the overflow was already full. The Stake President invited Sister Anderson and I to sit on the front row where he had two seats saved. Everyone treats us much better than we deserve considering we are here to serve them not the other way around. In the opening and closing of the meeting they had choirs from three of their wards comprised of their youth. It is hard to explain the emotions we felt watching those faithful youth sing the songs they had prepared with such enthusiasm. It was truly amazing! 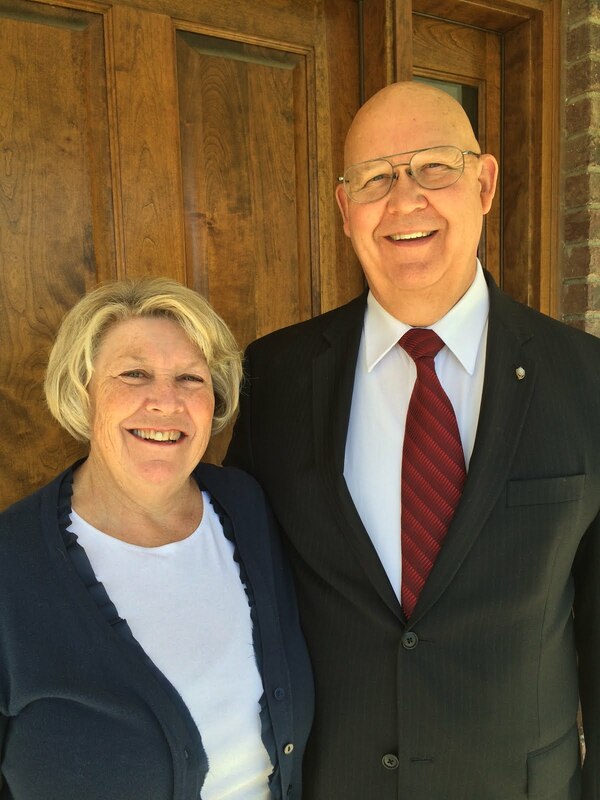 Elder Brent H Nielson of the Seventy who has been assigned to the Philippines for some time spoke first and talked about the typhoon that hit the Philippines in November of 2013 and damaged or destroyed over a million homes and killed thousands. He spoke of the resilience of the members who quickly got to work and rebuilt. He talk about "I will be the one!" and how the members in the Philippines worked together and built over 3200 homes and learned new carpentry skills doing it. He said "nothing is impossible to the members in the Philippines". He talked about preparing for the Temple, preparing missionaries from the Philippines to serve, Tithing and Fast offerings and the importance of Family Home Evening. He also talked about Sacrament meeting and keeping the Sabbath Day Holy. 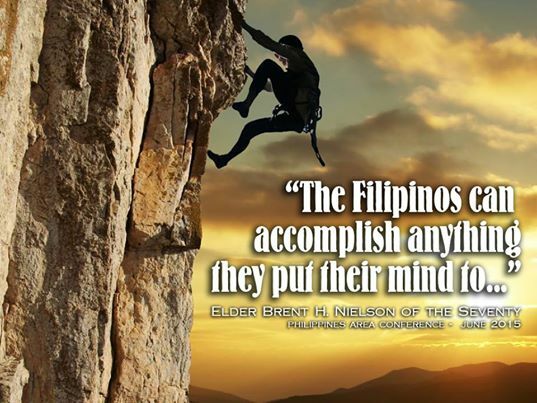 He finished with the quote above, the Philippine people can accomplish anything. We have been here less than three weeks and yet we have found all these things to be true. We love the Philippines and we love the people. They are so kind and and loving. When we look into their big brown eyes we truly see the Light of Christ shinning back at us. We came here to serve these wonderful people but it will be hard to give them more than they are giving to us.